Sharon encourages Erica to let her guard down and have faith in Darragh. Darragh coaxes Doug to be more forward with Miranda. Darragh is more successful with a new present he buys Erica and Erica is pleased when he admits that he wants a long term relationship. Sash is relieved to hear Junior is improving but is keen to keep her distance. Feeling even more emotionally blackmailed, Sash finally turns Wayne and Orla down, leaving them devastated. Orla insists they concentrate on surrogacy in the US. Wayne is heartbroken as he says goodbye to Junior the morning of his departure to the States. However, Sash has a change of heart after Wayne tells her his hopes and dreams for Junior. 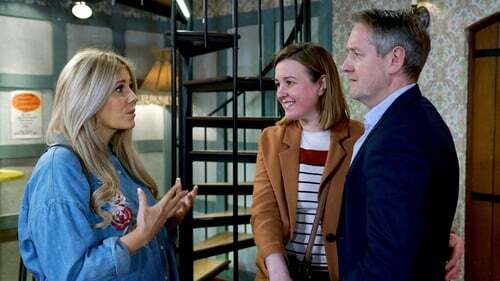 Sash tells Orla and Wayne she wants to have the baby, leaving them stunned. Sash is nervous as things move quickly after a successful visit to the gynecologist. She stuns Orla and Wayne when she tells them she’s changed her mind about the surrogacy. They try a softly-softly approach, and she agrees to have the baby on the condition that Orla and Wayne never divulge who the real father is. Sash’s stress begins to build after she hands in her notice to Robbie. When Wayne tells Sash he’ll put her on the payroll on her return from Prague, Orla is worried it will arouse suspicion.